Most businesses struggle when trying to implement effective inventory policies. Companies, in an attempt to satisfy their inventory needs, often find themselves with excess of inventory. This results in a decrease of the overall efficiency and raise of costs. Are you facing similar issues? At Supply Chain Advisory, we gathered the 5 best ways of reducing your inventory levels. Have a look at our stock optimisation tips below and make sure that your inventory levels are carefully optimised for your business. Identify where you can save time. Can you reduce your lead times within the ordering process? Regular technology updates, for instance, can help you to overcome limitations when ordering stock. Your lead times can be also affected by your supplier lead times. Predicting and mapping out future demand can help you to reduce your supplier lead times and therefore, your own lead times. You can also reduce the time the goods take to arrive to the final consumer by increasing loading factors. Major to reduce and optimise your stock is predicting the demands. Less safety stock is needed when your company can map out fluctuations in demand. We recommend you to use historic data of your demand rather than sales data so that you can forecast accurately. You might think this is a piece of cake, right? However, not all companies are doing this effectively. Which goods are you selling in large quantities? Which are obsolete? 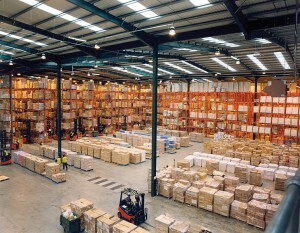 By identifying them, businesses can then accurately order stock and maximise space. By doing so, you can identify the inefficiencies of your suppliers that might affect your business performance. Is your company working with only one supplier? Working with more than one supplier will not only encourage your current supplier to enhance its service level but also will allow you to spread risks. How much stock should I order? Make sure that you understand and base your decision on your customer demand, the cost of placing the order and your holding costs. You can make the decision by calculating the economic order quantity (EOQ). However, you will need first to consider all the relevant costs and know in depth your demand. Supply Chain Advisory offers a stock optimisation management system that will optimise your inventory levels. Next:Why do companies use supply chain consultants?